4 What is a Collection? 9.1 Are Items in a Collection Read-Only? 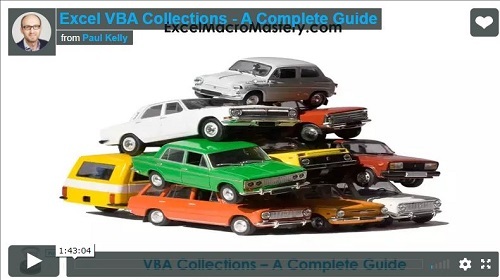 Collections are a very important part of VBA. If you have used the language for any length of time then you will have used Collections. The most common ones are the Workbooks, Worksheets, Range and Cells collections. Collections are similar to arrays so it is important to understand what they are and how the differ to arrays. If you are a member of the website, click on the image below to view the webinar. Collections and arrays are both used to group variables. They both store a set of similar items e.g. a list of student marks or country names. Using a collection or array allows you to quickly and easily manipulate a large number of items. In my post on arrays, I explained in simple terms what arrays are and why they are so useful. I will briefly recap this information here. However most of the time you will have more than one student to deal with. Imagine you want to store the marks of 100 students. If you didn’t use collections or arrays you would need to create a hundred variables – one variable to store the mark for each student. Another problem is that you have to use these variables individually. If you want to store 100 marks then you need a line of code each time you want to store a value to a variable. As you can see in the above example, writing code like this would mean hundreds of lines of repetitive code. When you use a collection or array you only need to declare one variable. Using a loop with a collection or arrays means you only need one line for add or reading values. We have looked at what collections and arrays have in common. So what is the difference and why use one over the other? The main difference is that with an array you normally set the size once. This means that you know the size before you start adding elements. Let me explain this with an example. You want to store information about each student. In this example you can easily count the number of rows to get the number of students. In other words you know the number of items in advance. In the example code you can see that we get the number of students by counting the rows. We can then use this to create an array of the correct size. In this example we have the same student worksheet but this time we only want students with a given criteria. For example only the students from the USA or England that study Maths or History. In other words you will not know how to select a student until you read their details from the worksheet. Imagine also that students can be added or removed from the list as the application runs. So in this example the number of students is not fixed and changes a lot. Here you do not know the number of students in advance. Therefore you do not know what size array to create. You could create an array of the biggest possible size. The problem is you would have a lot of empty slots and would have to add code to deal with these. If you read 50 students from a max of 1000 then you would have 950 unused array slots. You could also resize the array for each item as it is added. This is very inefficient and quite messy to do. So for this example using a collection would be better. When you add or remove an item to a collection VBA does all the resizing for you. You don’t have to specify the size or allocate new spaces. VBA does it under the hood. All you have to do is add an item or remove it. So if you are not dealing with a larger number of items then using a Collection can be much neater to use. Basic data types(i.e. variables like string, date, long, currency etc.) in a Collections are read-only.You can add or remove an item but you cannot change the value of the item. If you are going to be changing the values in a group of items then you will need to use an array. If you are storing an object in a Collection then you can change the value as the Collection stores a reference rather than the actual object. Now that we know when and why to use a collection let’s look at how to use one. As you can see you don’t need to specify the size. Once your collection has been created you can easily add items to it. You can also declare and then create the collection if and when you need it. The advantage to using this method is minimal. Allocating memory was important back in the 1990’s when computer memory was limited. Unless you are creating a huge number of collections on a slow PC you will never notice any benefit. Use Set means the collection will behave differently than when you set the collection to nothing. The next section explains this. The Collection does not have a RemoveAll function. However to remove all items from a collection you can simply set it to a new collection. Set Coll = New Collection. VBA will delete the collection because we are no longer referencing it. When we remove all items we generally want to use the collection again so we are effectively killing two birds with one stone by using this method. One subtle thing to keep in mind is that if we have two or more variables which reference the same collection then it will not be deleted(see cleaning up memory in VBA). When you add items in this manner they are added to the next available index. In the fruit example, Apple is added to position 1 and Pear to position 2. You can use the Before or After parameters to specify where you want to place the item in the collection. Note you cannot use both of these arguments at the same time. To Access the items of a collection you simply use the index. As we saw the index is the position of the item in the collection based on the order they were added. The order can also be set using the Before or After parameter. Are Items in a Collection Read-Only? This is a very important point. When a basic data type is stored in a Collection it is read-only. A basic data type is a string, date, integer, long etc. This may seem like contradictory behaviour, but there is a good reason. Any item that is added to a Collection is read-only. However, when you add an object to a Collection, the object is not added as the item. A variable with the memory address of the object is added as the item. This happens seamlessly so that you don’t notice it. The item variable is actually read-only but the object it points to is not. All you need to remember is that basic data types in a Collection are read-only. Objects in a Collection can be changed. You can read more about objects in memory here. You can also add different types of items to a collection. This is seldom needed. In VBA the Sheets collections contains sheets of type Worksheet and of type Chart. (To create a Chart sheet simple right click on any Chart, select Move and select the radio button for New sheet). The following code displays the type and name of all the sheets in the current workbook. Note to access different type you need the For Each variable to be a variant or you will get an error. When you access different items the For Each variable must be a variant. If it’s not you will get an error when you access a different type than you declared. If we declared sh as a worksheet in the above example it would give an error when we try to access a sheet of type Chart. It is rare that you would need a collection of different types but as you can see sometimes it can be useful. I included the parameter names to make the above example clear. However you don’t need to do this. Just remember the key is the second parameter and must be a unique string. In the VBA Workbooks collection it is much better to access the workbook by the key(name) than by the index. The order is dependent on the order they were opened and so is quite random. An example of when to use keys is as follows: Imagine you have a collection of IDs for a 10,000 students along with their marks. You also have a number of worksheet reports that have lists of student IDs. For each of these worksheets you need to print the mark for each student. You could do this by adding the 10,000 students to a collection using their student id as they key. When you read an ID from the worksheet you can directly access this student’s marks. If you didn’t use a key you would have to search through 10,000 IDs for each ID on the report. You cannot check if the Key exists. You cannot update the value stored at the Key. The second issue is not so easy to get around unless you have a good knowledge of programming. If you wish to use keys there is an alternative to the Collection. You can use the Dictionary. The Dictionary provides more functionality to work with keys. You can check if keys exist, update the values at keys, get a list of the keys and so on. To access all the items in a collection you can use a For loop or a For Each loop. Let’s look at these individually. You can see that we use the range of 1 to Workbooks.Count. The first item is always in postion one and the last item is always in the position specified by the Count property of the collection. The next example prints out all the items in a user created collection. where i is a long and Coll is a collection. where var is a variant and Coll is a collection. It is important to understand the difference between the two loops. The For Each is considered faster than the For Loop. Nowadays this is only an issue if you have a large collection and/or a slow PC/Network. The For Each loop is neater to write especially if you are using nested loops. Compare the following loops. Both print the names of all the worksheets in open workbooks. The For Each loop is much neater to write and less likely to have errors. The order of the For Each loop is always from the lowest index to the highest. If you want to get a different order then you need to use the For Loop. The order of the For Loop can be changed. You can read the items in reverse. You can read a section of the items or you can read every second item. The For loop gives more flexibility here but the reality is that most of the time the basic order is all you need. Using a Collection as a parameter or return value is very easy to do. We will look at them in turn. You can see how useful the sub PrintColl is in the example. It will print all the elements of ANY collection. The size or type of element does not matter. This shows how flexible collections are to use. One subtle point to keep in mind here is passing by value(By Val) and passing by reference(ByRef) differ slightly. For a simple variable passing by value means a copy is created. This means if the Function/Sub changes the value will not be changed when you return to the calling procedure. In the following example, we pass total using both ByVal and ByRef. You can see that after we pass using ByRef the value has changed in the calling procedure. The reason for this is that a Collection variable contains a pointer. This means it contains the address of the collection rather than the actual collection. So when you add or remove an item you are changing what the pointer is pointing at and not the pointer itself. However if you change the pointer it will be changed outside of the sub. You don’t need to worry about pointers. All you need to know is how this affects the behaviour of passing a parameter. If you set a collection parameter to nothing then the behaviour depends on if you used ByRef or ByVal.
' NOTE: We do not use New keyword here to create the collection.
' The collection is created in the CreateCollection function. Note: that you don’t use the New keyword when declaring the collection in the sub FruitReport(). This is because the collection is created in CreateCollection(). When you return the collection you are simple assigning the collection variable to point to this collection. Collections are a very useful part of VBA. There are much easier to use than Arrays and are very useful when you are doing a lot of adding and removing items. They have only four properties: Add, Remove, Count and Item. This makes them very easy to master. Collections are a way of storing a group of items together. 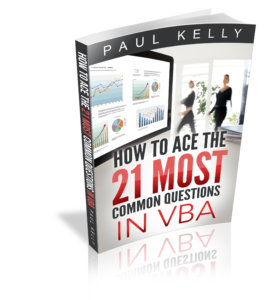 VBA has its own collections such as Workbooks, Worksheets and Cells. The items do not have to be of the same type but they normally are. The VBA Sheets collection can contain both worksheets and chart sheets. A collection makes it easy to perform the same task on multiple items e.g. print all the values. Collections are similar to arrays as they both store groups of similar items. Collections are better when adding and removing lots of items. Collections are simpler to use than arrays. Arrays are more useful when the number of items is fixed. Arrays are more efficient when reading and writing to or from cells. Basic data types(i.e. non-objects) in a Collection are read-only whereas arrays are read/write. You can delete an entire collection by setting it to Nothing. What this does depends on how it was created(see last point). You can add items to a specific position in the collection using Before and After arguments with the collection Add function. You can use Keys with a collection to access an item directly. Collections do not have good support for keys so you are usually better to use the Dictionary collection when you need to use Keys. You can use the For and For Each loops to access all items in a collection. The For Each loop is more efficient but only allows you to go through the collection in one order. You can easily pass a collection as an argument to a Function or Sub. You can easily return a collection from a Function. (NOTE: Planning to build or manage a VBA Application? Learn how to build 10 Excel VBA applications from scratch.). Can we create a collection like how a list is created in python? Can we create a collection in VBA like this instead of adding each grade one by one? How I add two separated words using space in Collections ? Example I want to add “Apple Pear” in a Collections. Unfortunately, the code isn’t running properly. I tried to add “Space(1)”, &” “& and another way between those string, but still doesn’t run properly. Could you please suggest another way to solve these problem ? I would like to ask about adding space betwee string in Collection. First of all, the key in collections is not very useful and you may want to use the Dictionary instead. Secondly, the key in both structures(Collection and Dictionary) is a unique item whos purpose is to identify a particular entry. So each item can only have one key. So the conclusion, we can’t add two separated words in one key like this one (key:=”Apple Orange”) right ? I just modified the “Sentiment Analysis” code in VBA. The problem is that the formula can’t caught double phrase which is important for particular situation. When in the cell A1 has the word “like”, and I run the formula in cell B1 = GetSentimentValue(A1), resulting 3 in cell B1 which mean it is “Positive” sentiment. Unfortunately, if in the cell A1 has the word “don’t like”, the result is still the same that is 3 (Positive), instead of I need it to be (Negative) since the word “don’t” has negative connotation. That’s why I asked you, how to add two separated words in the same key. Is there another solution for this ? Thankyou for your time Paul. I would like to ask about retrieving item from multidimensional array/object. How can I create multidimensional collection and retrieve item like col(1,2)? Here my function code for create matrix and I would like to use my class object cMatrix, can you help me? By the way do not think below code as an obligatory, the important think is using collection with multidimensional, adding to collection array item like (2,4) node coordinate. i put after C the sintax ByRef but doesnt work (hehe’). Can u help me to fix this? What do yo mean when you say it doesn’t work? I am trying to add a collection(or dictionary) of the row numbers as a property to cPair in this project. I am new to classes, I tried to work it out, I think I messed it up. The data in blue color is the raw data to extract pairs and count their occurrences. It works normally. Now I wanted to add a dictionary so that the pair IDs (which are in green) are stored and displayed for each pair. Can you help me with this, please? I’ve been developing in VBA for almost 20 years and had never got into collections. But in a current project I was beating my head up against a wall trying to ReDim a two-dimensional array whose values were in one column. Finally, while scouring the web for a solutions, I came across a suggestion to use a collection and that led me here. I invested a couple of hours reviewing and documenting your course in my reference workbook, but if I don’t get all that time back on this project it won’t take long to do so. Thanks for all your efforts in creating a comprehensive yet concise and easily understandable course! 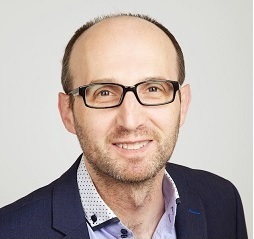 Hello, great article, thanks for sharing with us. There isn’t a small limit to the collection. I’m guessing you are looking in the Watch window? There is a limit to what will be loaded here. What is the count value of the collection? That will be correct. Otherwise there is an error in how you are reading the values to the collection. Paul, I try to use your Exists() function to check whether a key exists in a collection. It works when the key is present in the collection. BUT when the key does not exist in the collection, the function does not return False. Instead an error message “run-time error ‘5’ invalid procedure call or argument” appears. I wish the function returns “False” when the key does not exist in the collection. Am I missing something? Can you post an example of your code? It’s possible that changing the key to a variant type instead of string may solve it. Simple, concise, easy to follow and comprehensive. I understand that worksheets, sheets and workbooks are collections, but if Range was a collection, wouldn’t you be able to see range.count? When I try this in my immediate window, I get an error. First of all, Thank you for the reply. My understanding was that for all collections, you could (for example) use coll(coll.count) to access the last member of the collection. For sheets(coll.count) and worksheets this works, but for ‘range’ this doesn’t. I guess if you first narrow ‘range’ to a specific group of cells (as you do in your original reply) then you can treat it as a collection… but it just seems more like a ‘pseudo collection’ rather than a ‘collection’ to me. What am I misunderstanding, or is it actually not a “real” collection? You can use count for range. I misunderstood your original question. What error are you getting when you try to use count with range? Considering “Range” the name of the collection, when I use Range.count I get an “argument not optional” error. Once in a variable I can use it from there. data.Add “BUSData” ‘if I remove the quotes it gives the actual range. If I understand correctly, ACCData, BusData etc. are variables. You cannot use them like this. If you use data.Add “ACCData” then VBA considers this a string. If you use data.Add ACCData then VBA will add the contents of the variable ACCData. Why are you trying to use a variable like this? Don’t usually leave messages on tutorials but I’ve been wasting so much time lately on terrible tutorials that it’s just a downright relief to find one so refreshingly useful. Thank you so much! Please could you explain me the “,Nothing” part in 3rd line: my understanding was that if ‘v’ is not empty AND is not already a key, then it will be added as new key….I first supposed “,nothing” was set to handle an ‘already existent key’ case, but I’ve verified it is not, given that when the key is existent before, I’ll get the run-time error 457. So when is the “, Nothing” part supposed to come into play? What does it means? Thank you Paul for you help! You haven’t shown what the .Add is belong to but it looks like a Dictionary. I’m guessing that the user only needs the key and doesn’t need a value so that’s why they are using “Nothing”. Awesome write up about collections! It really helped me out. I just have one thing to say that you could add to here or possibly it is covered in objects section of this website. I was thinking that collections are always read only, but it didn’t make sense to me in terms of a collection of objects. I wrote the following code to test this out. I used your class write up to make a class for access and a class for excel connections. The result is what is expected because the object is stored in the collection as a reference and can therefore be manipulated. I was thinking after reading this that I would have to change all my code to use a dictionary of an array but it seems a collection works fine when using objects. You are correct. The reference cannot be changed but the object itself can. I will update the post about this as it has caused confusion for a few people. ClientParsed() = Split(“Abbr;full Name”, “;”) ‘ where the string is really a variable, too. When I run this, I get a “Type mismatch” error on the ClientName.Add statement. Is there a way to make this work, or do I need a dictionary? Hi here is a code for filter unique values from an array (aFirstArray) and write them in column A.
I can understand that the code ‘arr.Add a’, add all the data from ‘aFirstArray’ in to array ‘arr’. But how only unique values from ‘aFirstArray’ are added to array ‘arr’ with code ”arr.Add a, a’. Can you please explain how this code (arr.Add a, a) works so that only unique values add? Make the key the same as the item. If the key exists already you can skip and move to the next. I want know how to use NLP in VBA EXCEL. In the section “adding different type” you said we have to declare sh as a variant otherwise we will get an error. I actually get it working perfectly fine with worksheet as follow. you didn’t write anything about how to put the data from a worksheet into a collection. but how can I later transfer this to a worksheet again? Or are collections only for the value of a single cell? Not possible to put a row with several columns into it? A collection isn’t the same as an array. There is no way to write directly from a range to a collection. The collection is normally used when you are adding lots of individual items. Is there any way to declare from the beginning the type of elements that the collection will contain? The elements of a collections are variants which means that they are set when you add them. I am curious as to why do you need to do declare the type? 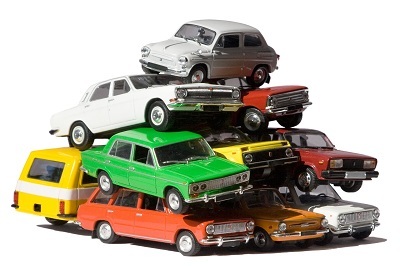 Very nice picture of Soviet cars’ models in the header of the article. I had similar ones in my childhood.